St Paddy's Day is almost upon us! AOH Lincoln will be out in full force at McKinney's 4th Annual St. Patrick's Day Street Party! Bar opens at 9am. Street party starts at 12pm. AOH Lincoln is providing information on our cause and raising funds. Donate some $$$ and you can spin the wheel to win some awesome swag. Proceeds will go to the immigrant community in Lincoln. 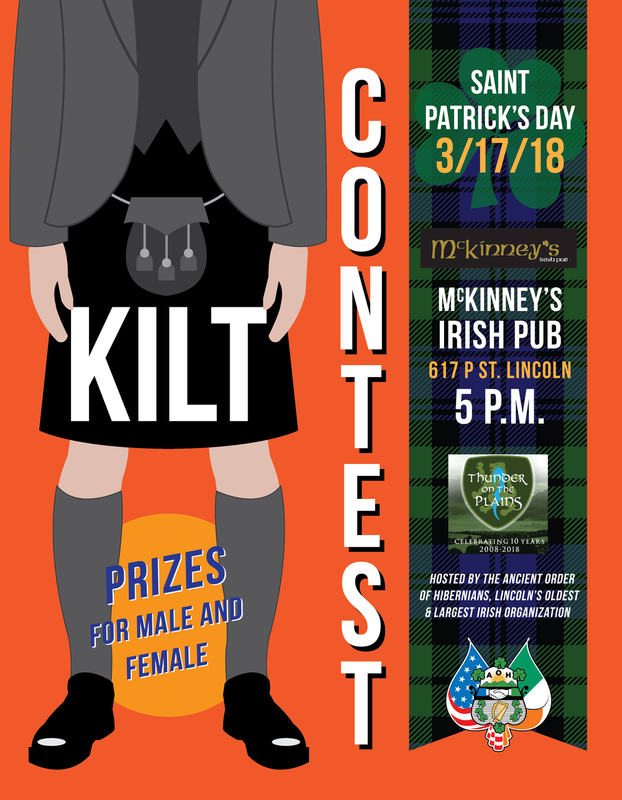 We're also hosting a kilt competition! Lads and Lasses will compete with their best to win prizes from various sponsors. Prizes will be announced the day of the event. Contest starts at 5pm!